The home inspection is a visual, non-invasive inspection of the roof, exterior, foundation, interior, plumbing, electrical, built in appliances, heating, cooling, and attic. Infrared scans will be used as needed to confirm findings during the inspection. After the inspection, you will know more about the house, which will allow you to make decisions with confidence. A home inspector will not find everything wrong with the home and can not predict future conditions of what could go wrong. It is possible to find problems not identified in your report. Re-inspections are performed for a minimum fee of $125 and includes an annotated copy of the original report noting items that were corrected. 11th month inspections; If you purchased a new home don’t forget to have you home inspected before the warranty period runs out. We perform a full inspection that you can submit to your builder to have any items covered repaired. We begin with a 1 on 1 consultation to discuss the condition of the home. Then we perform a full inspection, I point out items that are typically noted on a “Buyer’s” home inspection and we discuss possible fixes. Once you have completed fixing any major systems in need of immediate repair or replacement, and there are no known safety hazards. We re-inspect and amend the report as needed. 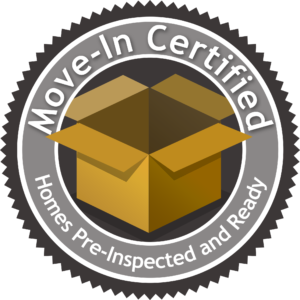 The report is hosted online for potential buyers to view, a Move-In Certified™ seal can be applied to the photos and listing, a Move-In Certified™ sign is posted in the yard. Even if you have a great tenant, routine inspections can help prevent big problems down the road. They also indicate to a tenant the type of condition you expect the property to be returned in. Marsh Buffalo Home Inspections thoroughly inspects the property inside and out noting any defects. Call to customize your inspection scope and frequency. Multi-property discounts available. Prices quoted on property size, frequency, scope of inspection, and portfolio size. Even the most vigilant homeowner can miss small problems or forget about performing some routine home repairs and seasonal maintenance. That’s why an Annual Home Maintenance Inspection will help you keep your home in good condition and prevent it from suffering serious, long-term and expensive damage from minor issues that should be addressed now while the cost and damage could be significantly less. 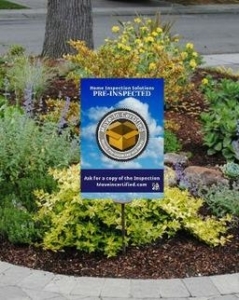 The lawn sprinkler inspection is a visual inspection of the visible parts of the system. We operate each zone using the controller, verify the sprinkler heads are operating properly and not spraying the home or other hardscapes. We note the number of zones and do our best to find all the zone control valves, and verify back-flow prevention is installed on public water supplies.